In my quest to eat a healthy dinner I made an important discovery that shed some light on why authenticity plays a significant role in search engine rankings and website conversions. I was eating a healthy, low fat dinner of ham steak and rice and I decided to try those steaming veggies in a bag to go along with it. You know, the kind you put in the microwave and they steam in their own bag? Cooking in a bag in the microwave is very convenient, but the veggies were kind of bland. I should have opted for the veggies with the cheese sauce but I didn’t like what the nutrition facts on the label said. I am eating healthier now but I refuse to sacrifice good taste! I would have loved a nice creamy white sauce to pour on them! After dinner I checked online to see if I could find a healthy white sauce recipe for the rest of the steaming veggies I had on hand. 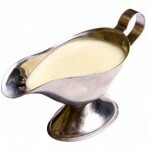 I went to my favorite search engine and using keyword variations of ‘low-fat white sauce’ found a recipe for an easy to make, low fat, white sauce that looked promising. I kept looking because, although it seemed easy to make, it didn’t seem savory enough and there were no reader reviews. What I eventually found confirmed my suspicions; I prefer the reading what others had to say about a recipe I have found in the search page results before I choose it! This particular website featured 20 reader reviews that had experience with and recommended this recipe! The other sites I found, including About.com, also featured reader reviews, but they didn’t have as many reviews or ‘votes’ for their similar recipes, even though I found a very simple recipe that I felt I could make I did not choose it because there were no recommendations! Recipe sites abound online, I could have gone with the first one I found in the search engines, but, instinctively I kept searching until I could find a good RECOMMENDATION! 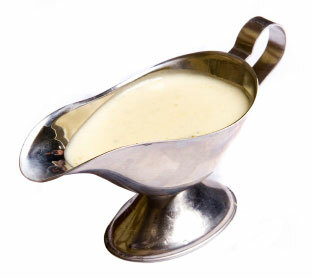 That’s what made me choose this Low-Fat White Sauce recipe above all the others, which were similar in ingredients. The site was easy to find based on simple keywords, which should be easy enough for any site owner (in theory). What made this site appealing is that other people found its content useful and made a recommendation. Is your content reviewable or shareable? Do you encourage sharing it? Do you have a mechanism in place so users can ask a question? Do you respond? Can users rate your content and make recommendations, either by commenting or sharing? One key factor of authenticity is recommendation. Incorporating the ability to recommend, share, comment and link into your content contributes to the usability and interaction with users which search engines now consider as part of their ranking algorithm. Of course, there are other factors that contribute to authenticity, like credibility, which we will explore in future blog post. If you liked this article please speak your mind! Leave a comment, link or share! And, tell me how you are using authenticity on your blog or website. If you wish to build a successful Internet business, you must manage your time effectively. When most people first start out, they are a one person business without much startup capital. If this is your case, you will need to do everything yourself until your business grows enough that you can outsource some of the tasks involved with your on-line business. The best permalink structure for WordPress is not what you think. If your permalink structure isn’t set up properly, you can either lose the SEO benefits from your backlinks, or you can cause your blog to slow to a crawl. Here’s what you need to do – now. A look at the benefits of adding an email auto responder to your online and/or offline business.